Our private investigators work with attorneys and legal teams across Oklahoma City to help them locate, interview, and obtain recorded statements from subjects of interest and witnesses. Our investigators work directly with our clients to help them find the best course of action. Our goal is to process our client’s assignments within 24 hours of receipt and have a completed case no later than 72 hours after receipt. We do this by partnering with strategic partners across the state of Oklahoma. We are able to work rush assignments across any city in OK.
We are experts at helping our clients uncover infidelity signs. Our team of private investigators can work with you and your attorney to document the necessary evidence for your future well-being. We work with our client’s best interest in mind as we help find the information they need – today. Our team is based out of Tulsa, but our strategic partnership of Oklahoma City Private Investigators helps us provide the services our clients need across the state. All of our private investigators – including our partners – are carefully vetted by our president and a third party. 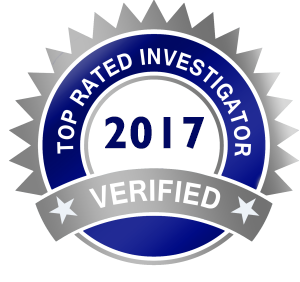 All our investigators are trained in the latest investigative techniques and are equipped with the most up to date investigative equipment. At Powerhouse Investigations, we will find the truth for you. We specialize in civil & domestic investigations to help our clients win court battles. Insurance Defense investigations to help insurance agencies prevent costly insurance claims. Background investigations to assist our client’s find the information they need to make the right decision, and missing persons & skip tracing investigations to help locate witnesses, debtors, subjects of interests, or loved ones. Call us for a free consultation. Our goal is to help our clients find the information they need. I recently began dating again after being divorced for some time. I had suspicions about the man I met so I called Powerhouse and asked for help. Michael and his team found out that man I was dating had an entirely different name, identity and he was even married. I highly recommend their services for anyone who wants to know the truth. Powerhouse Investigations has far exceeded our expectations. Their attention to detail, organization and strategy has truly assisted us in our defense of claims. They are trustworthy and act with the highest integrity. I recommend Michael Morelli to all of my colleagues as he continues to offer work of excellence. He and his team set quite the high bar. Powerhouse quickly grasps the issues necessary for successful resolution. Powerhouse then executes an imaginative and creative plan to find the facts. As fast and smooth as any I have seen. I highly recommend Powerhouse Investigations. Michael has been very responsive and professional. If I ever need these services again I won’t hesitate to call him. As an attorney, I have found the Powerhouse Investigative Firm to be a valuable resource for my practice. Michael’s “out of the box” approach can result in very useful information. I appreciate the way Michael attacked my case. He had very little to work with but he was not discouraged. He was tenacious. I highly recommend Mr. Morelli and I plan to use him more. Our firm has retained Powerhouse Investigations on many occa­sions, for a wide variety of investigative services. Mi­chael and his team at Powerhouse are effective, timely, and cost-efficient. They offer excellent professional expertise to any situation were private investigative services may be needed. At Powerhouse Investigations, our mission is to utilize every investigative resource available to the Investigation’s industry in order to successfully complete our client’s investigation. We conduct our investigations with our client’s best interests in mind every step of our investigative process in order to help them make educated decisions backed with solid evidence and concrete proof. In my work as a licensed private investigator, I spend a lot of time digging through court files, searching databases, conducting confidential interviews, and writing reports. I value professionalism. I am licensed, bonded and insured. Confidentiality is mandated by law. I don’t obtain information illegally. In short, I follow all state and federal laws governing my industry.